Ryan Kent is likely to face retrospective punishment after lashing out at Celtic captain Scott Brown. 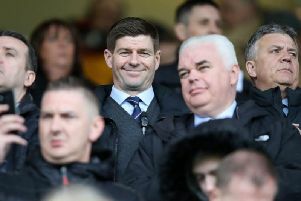 The incident happened during Rangers’ 2-1 loss to their closest rivals at Celtic Park, just seconds after James Forrest had scored the winning goal. Kent knocked Brown to the floor after the pair confronted each other at the halfway line before the match restarted. The incident was missed by the officials, but Kent is expected to be cited by the SFA compliance officer. Celtic boss Neil Lennon later called the treatment of Brown “disgraceful”, though Rangers manager Steven Gerrard believes the midfielder should be punished for provoking his opponents.